Beginning at age 4, our Kids Martial Arts Classes teach everything from the most basic instruction to high-level competition training. And, of course, these exciting classes are perfect for children of all experience levels and backgrounds. There's no better way than the Martial Arts to help your child learn confidence and self-esteem. 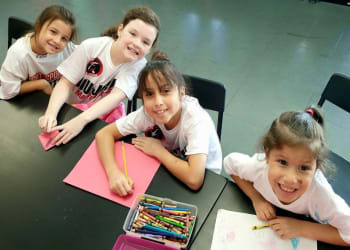 Unlike team sports, our Kids Martial Arts classes let students think and act independently, taking on a true sense of accomplishment for their successes. Don't let your child go through life without a foundation of success and support to lean on. 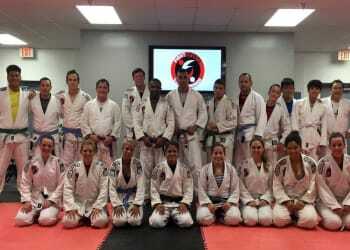 Our family friendly Kids Martial Arts Classes at Fight Sports Coral Springs help students feel at home in our classes and they enjoy the support of everyone around them on a daily basis. As your child grows and thrives in our Kids Martial Arts Classes, they will develop important skills that will serve them for years to come. From the classroom to your home and even into adulthood, Kids Martial Arts can guide students in anything they do. Start Your Kids Martial Arts Journey Today! Take the first step today and introduce your child lifelong habits of physical activity, discipline in all areas, and self-defense when it's needed. To get started, or to learn more about everything we have to offer at Fight Sports Martial Arts, all you have to do is fill out the short form on your screen and a member of our staff will be in touch soon to answer all of your questions!